Last month I picked up a Cover Girl NailSlicks lot on eBay 10/$10. I didn't recognize most of the names, but for $10 I thought there might be something worthwhile in the lot. You know when you open up a bottle and see that translucent jelly look, you've got a winner! 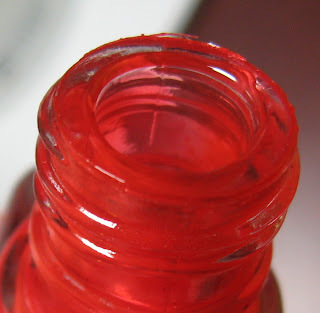 You also notice that the bottle openings all need a good cleaning. 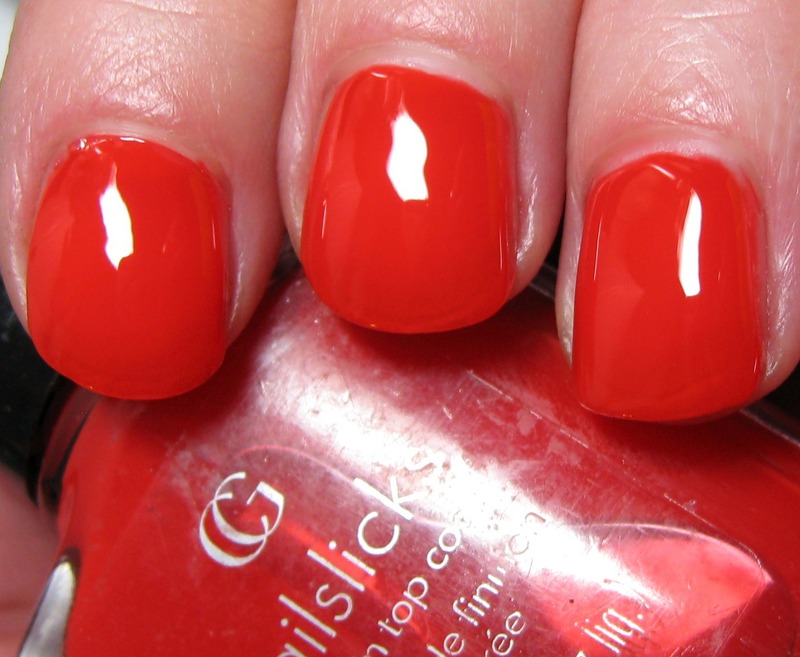 Above & Below: Orange Glow is a vivid orange shade with a high gloss jelly finish. This only required 2 coats and it applied perfectly. 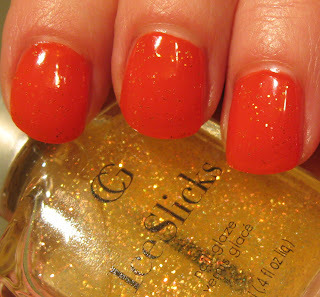 Below: This shade was the main reason I wanted the lot, Orange Slush. I was never able to find this IceSlick to add to my others, so another $1 well spent! Of course, they showed up at my Dollar Tree a week later! 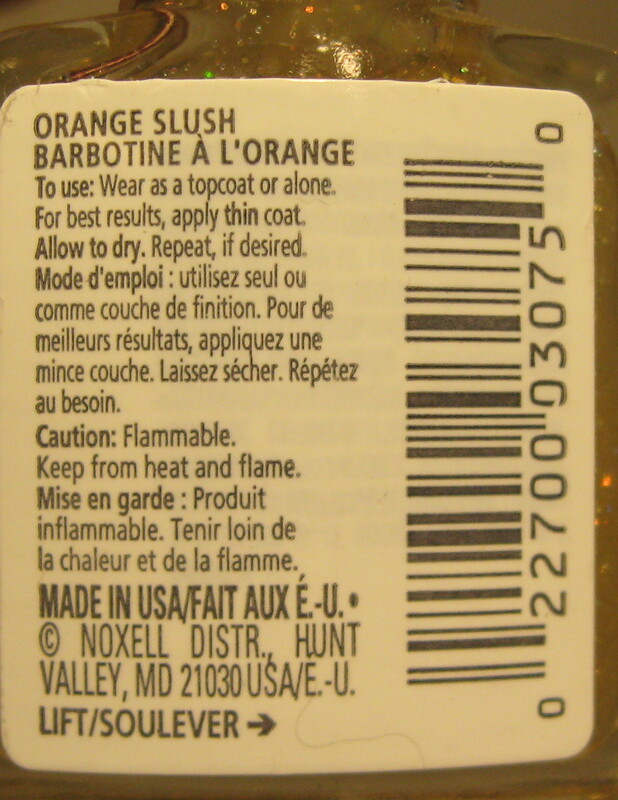 Below: Orange Crush works much better over dark shades, or if you can spare it, as a Franken additive. I'll admit, I often pass on the lots of shades on eBay because I'm too lazy to read everything they include, or they sometimes don't even list the specific colors and you can't really tell from the photo what's included. I'm glad I took the time to read through this lot because there were some other pretty shades included. Nothing beats the 10/$10 lot of Rimmel's I bought a few years back--no color names were listed, so it was a total surprise when they arrived. There were 9 bottles that were nothing spectacular, but the 10th bottle was totally worth $1...Zeitgeist! Now if I could just find a 10/$10 lot that included Clarins 230 or OPI La Boheme, that would totally make my day! That's one juicy looking orange! My Dollar Tree has had nothing but crap for months. I just don't understand what happened. They used to get in some great stuff. Not anymore. I've never ordered from ebay. I didn't know they did lots. Sounds good! This polish is yummy looking. I'd love to see Orange Crush over black. Mmmmmmm, yummy! I want these bad. I have to get to my Dollar Store and check. The ones by me never have good stuff! Pretty polish!!! Ah..if only my Dollar Tree had this one. I only saw...mainly LA Colors and some other brands. You make me want to troll eBay for these things! How much did you pay for the shipping? 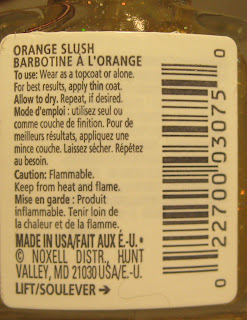 And I love Orange Slush. I love that you layered it over Orange Glow. I wish my nail polishes would apply that easily! Very nice and shiny red polish. 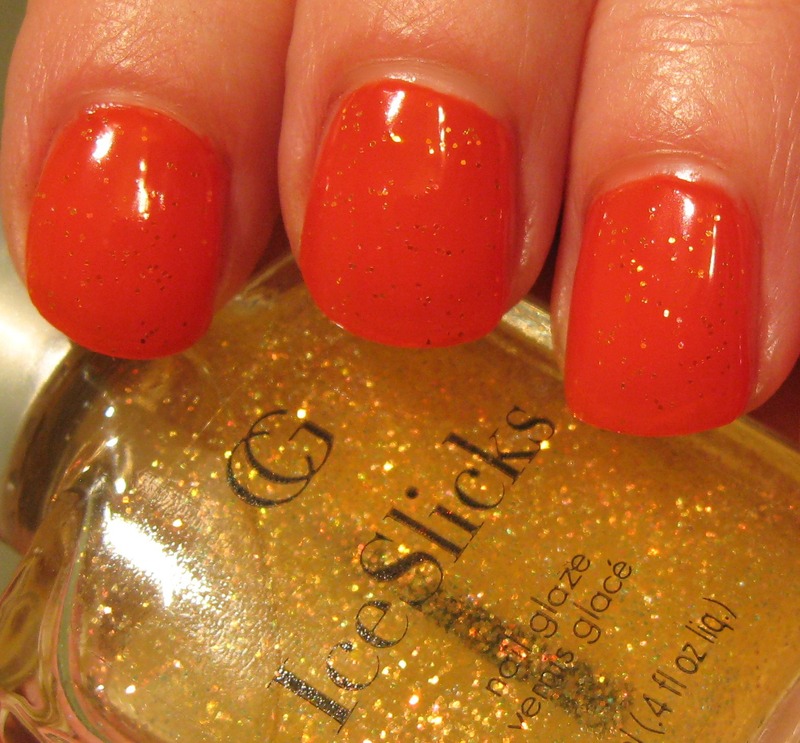 This collor looks great on a white skin but even on a tanned skin.